Malaysia is celebrating the 53rd Independence Day today. 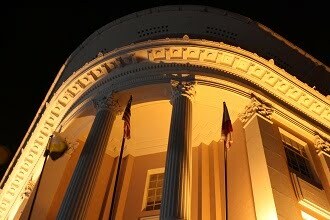 There are national & state flags everywhere in the city as the simplest decoration of this special day. A reviewing stand used to be built in front of Town Hall for the parade but it is not held this year. It is only decorated with flags surrounding it & the city remained like an usual public holiday without special celebration events. Although the nation has achieved tremendous growth in economy since the last two decades, but humanity advancement was not being focused. The society is currently highly individualistic, materialistic & profit oriented. Achievement is measured mainly in wealth & majority of the people are hungering for monetary satisfaction. Morality & humanity is being neglected; any attempts to increase wealth either legal or illegal are coming to people's mind. Therefore robbery, burglary & other criminal cases are increasing. I hope all citizens will make a change in mind. Material isn't everything, spiritual satisfaction should be emphasized & achieved by creating harmony, caring & tolerating society. Tomorrow is a result of today, with love & care to people, to all creatures and to mother nature, the future will be a better world. "All for One, One for All." There is no occupant in the cage. 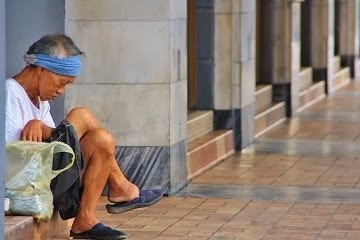 However, if there is an occupant, it would be a sad & lonely one that lost its freedom. Many of us are probably with the same fate, although not living in a cage, but we are tied with career and business. There isn't much time many of us could spend for the life we want to live; for the world we want to see; for the joy we want to experience & for the people we want to love. Thirty six years is probably half way in the journey of life. Would the rest of the days staying in the cage or off the cage? According to historical data, this is the third courthouse building in Ipoh & was completed in 1928. 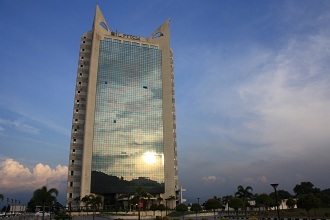 It is located at Club Road (Jalan Panglima Bukit Gantang Wahab), adjacent to Ipoh Town Hall with Station Road in between. 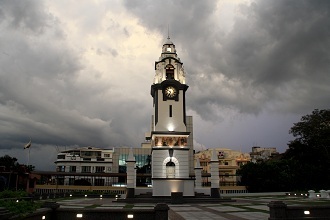 The previous courthouses were also around this area, which one of it was on the other side of Town Hall, the current location of Perak State Mosque. The building designed in classical style is one of the landmark heritage building in the city & having an underground tunnel connecting Town Hall. The arch of main gate & an extension building (not seen in this photo) together with old building re-coating were done few year back as an upgrading program of the High Court. 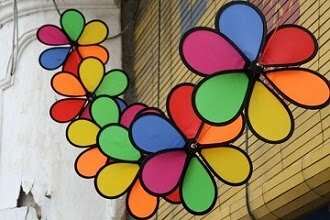 As shared on 3-Aug-2010, the block of shops at Chung On Siew Road had come to the end of their life. Since then I have not got a chance to visit the site until today. At the same spot, I am taking this photo but with a very different scene. The building is only left as an image on photo & in our memory; it's forever gone. When I reach the site, I find the soil surveying work is underway. I believe construction of new structure will be carried out soon & let's see what would it be. 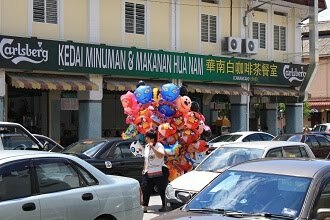 This is a common phenomena in Ipoh where similar business always concentrated in a particular area, such as travel agencies, banks, courier services, wedding studios & even "dim sum" restaurants. Now we find a new gathering spot for home deco appear in the neighbourhood of Tasek Square. 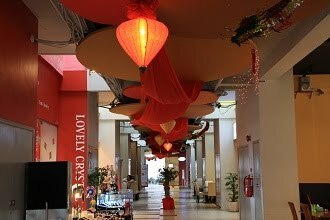 Beside the few furniture shops, there is also lighting & textile outlets. Recently adding in another lighting showroom on top of its existing showroom at Kampar Road. It is a good trend where it could make Tasek a hub for home deco. 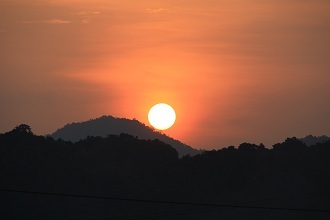 Kledang Mountain Range is the western guarding line of Kinta Valley. The best known Kledang Hill is one of the peaks and it is noticeable with the hilltop broadcasting station. 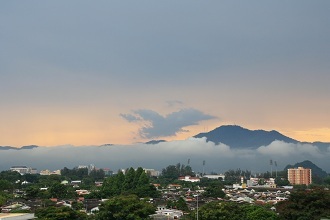 The undulated mountain range oftenly presents an attractive scene during sunset where the hills at farther are gradually faded from sight in drizzle. 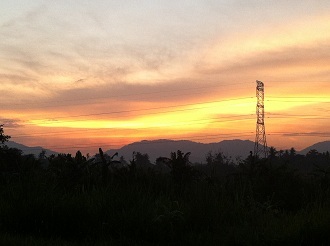 In just few minutes, the orange color skyline disappear & darkness fall. Life is getting more amazing with all kind of illusory things around us. As simple as glass or mirror could create a virtual world, just like the interior designer uses to "increase" space in a small apartment. The fact that human enjoy living in illusions is undeniable. 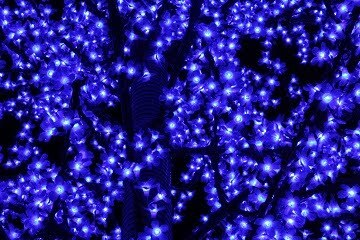 We are creating more and more unreal features that fulfill our desire on excitement but we let many precious things & awesome moments at our surrounding slipped away from us. Budget hotels are normally operating at lower cost & therefore it would minimize expenses in every aspect. 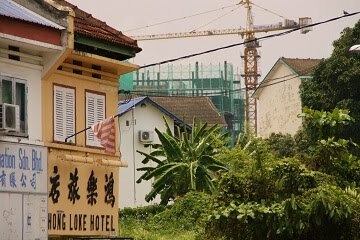 A newly open hotel at IGB Industrial Park, which can be seen from Kuala Kangsar Road, is occupying 2 units of corner shoplot. 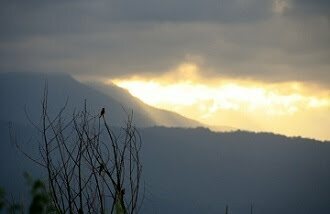 The name sounds familiar because I have seen it at a more remote area in Kanthan & I believe it is moving from there to this location, which I think is better. A budget hotel with such an exterior seems good & quite attractive. Well done & hope to see more nicely exterior designed properties in the city. Hugh Low Street is best known downtown street since a century ago. It currently stretches for about 2 kilometers from west to east across the town. The upper photo shows the portion close to one end in New Town while the lower photo is showing the Old Town portion that probably to be considered as the origin spot of Ipoh. Both photos are showing the last row of shophouse at each end but they were built almost half a century apart. 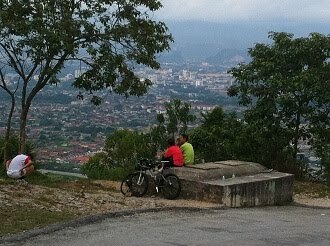 I believe very few of the Ipoh citizen nowadays has witnessed the expansion of this township. Since the traffic converted into one-way flow in 1986, the street is basically serving motor vehicles than pedestrian, causing the shops suffer drastic business drop. Castle Roca Restaurant at Kuala Kangsar Road is one of my favorite dining place. On top of the tasty food, the restaurant environment is also nice which is simple & cozy. It serves indoor & outdoor seats. Anyway, in this warm day, all customers choose to stay in the air-conditioned indoor portion leaving the outdoor seats vacant. 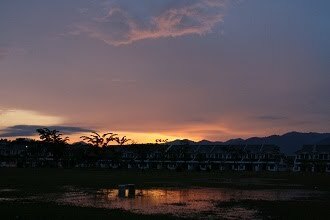 Sunny afternoon, rainy evening is the typical weather recently. The weather lately is quite comfortable not only to us but to the plants as well. With sufficient watering & sunshine, the flower blooms beautifully in the morning & there are more flowers in the past few days. 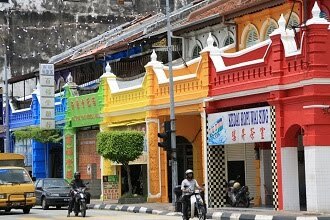 Panglima Lane that also known as Second Concubine Lane is a famous heritage street in Ipoh. In fact there are three lanes in this part of Old Town carrying the name as First, Second & Third Concubine Lane. These are the narrow alleys in between the three major streets, Market Street, Panglima Street & Hale Street. Therefore they are named accordingly as Market Lane, Panglima Lane & Hale Lane. Among these, I think Market Lane is the only one we can drive our car through. Although majority of the units also remain the original appearance, unlike Panglima Lane, most of the residents here have migrated & I can hardly see people moving along the alley. 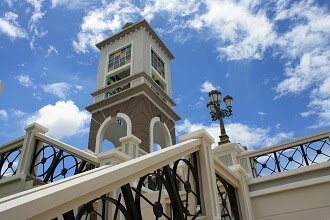 Ipoh has welcomed many new restaurants & cafes lately, especially at the new shopping arcade of De Garden Mall. One of them is a strawberry specialty cafe Strawberry Moment Dessert Cafe that originated from Cameron Highlands, the famous strawberry plantation in Malaysia. On top of the tasty food, the cafe interior is cozy, charming & relaxing. There are some seats at open space for those who likes sunshine during day time or fresh air at night. I had a good lunch here & I do hope many others are enjoying too. There are more details about Strawberry Moment Dessert Cafe in blog of Motormouth from Ipoh and in Facebook All About Ipoh. Takahashi Cafe in Kinta City Shopping Center is one of my favorite dining places for Japanese food in Ipoh. Beside enjoying the tasty food, I also enjoy the peaceful & cozy environment under the soft lighting. The restaurant is nicely partitioned by shelves that provides appropriate privacy and there are many exquisite decoration stuff on it. 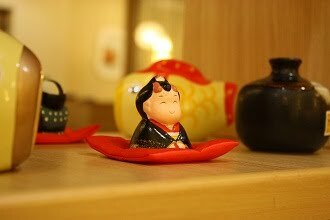 These smiling Japanese dolls are so cute & cheerful. It would make your dining at here joyful, even though having it alone. These restaurants beside Ipoh Padang are not sepcial than other ordinary shops in town. 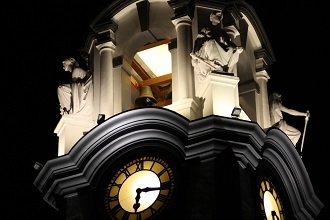 However, the owners make use of lighting effect to project the beauty of these buildings at night. No matter from far or near, it makes the restaurants noticeable to the public. Anyway, the adjacent units at both side are still in poor condition, either vacant or operating as traditional coffee shop. Further away at one of the corner unit is Old Town White Coffee Restaurant. 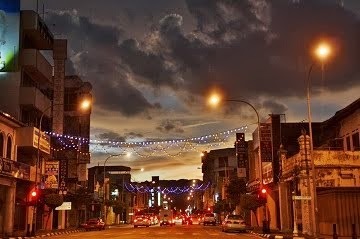 There are advantages where the entire block is facing Ipoh Padang and still remain its original structure & appearance. If the rest of the shops are renovated & upgraded for dining or entertainment, this should become a more attractive spot. 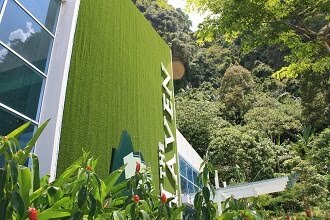 I heard a new boutique hotel, so called Secret Garden Hotel, is opened near Tambun Road. So I drive around the area & finally found it at Cheah Cheng Lim Road, neighbouring Prima Ipoh Condominium. There are few bungalows in similar architecture along this road & some are vacant. The hotel was not open when I reach there & I saw a banner of hotel opening party without date. I was wondering whether the hotel & dinning have started operating. Anyway, the colonial style building looked good & I hope it serves nice accommodation & good food. However, the landscaping of front garden needs improvement, probably a better paved road & a grass field. 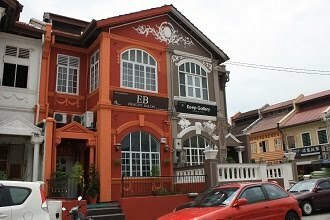 This is a shophouse at the white coffee district, nearby Kinta Heights, which is probably reaching a century old, or may be more than that. Although it is just an ordinary old terrace shophouse in town, the appearance was made delicated. Its ground floor is selling kitchenware & household stuff during day time while the upper floor seems like a store. Likewise many shophouses in town, residents are moving away and leaving the city center empty like a ghost town at night. If the century-old building structure is strengthened & interior is restored to better condition, making it like a modern townhouse or apartment, hopefully it will create reflow of population. 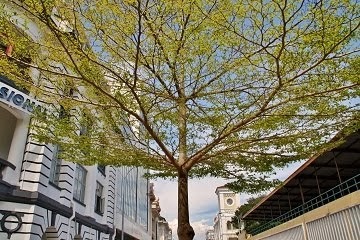 I believe this can be done & may even create a new trend of living style in Ipoh. This is a mini market (convenience store) that occupies a corner shoplot. Since it has additional five foot way at its side, the owner simply make use of it for growing some plants. For whatever reason, I believe this is a good idea provided the cleaniness, safety of pedestrian & maintenance is well kept. 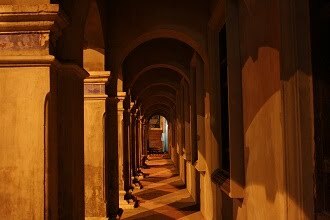 Paloh Mosque (Masjid Paloh) at Datoh Road is one of the oldest mosques in Ipoh which located near the junction of Leong Boon Swee Road. It was built by Wan Muhammad Saleh in year 1912. That means the mosque is almost a century old now. Nonetheless, the mosque remains its original exterior although its structure has been extensively renovated. 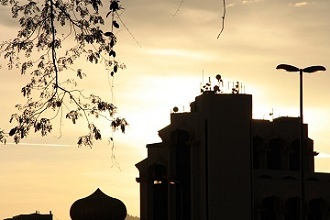 Unlike typical mosque architecture, Paloh Mosque does not have dome but appeared in traditional Malayan style. An old Muslim cemetery is loacted behind the mosque and there is a tomb of a nobleman of early 20th century. I believe there was a heavy smoker either having his breakfast or tea break at this table. Well, this is still a bad habit of most Malaysian, littering. Also, according to my observation, number of smoker is increasing, moreover many are youngster & ladies. Perphaps they believe smoking is trendy, which I totally not agree & not encourage. 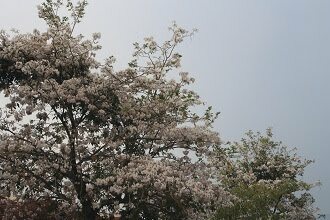 There were some rainy days at large area in the valley during last few weeks and it becomes lesser recently. Scattered rain at certain spots while cloudy and hazy sky take over the last few days. The weather change is not drastic but we still can feel it starts to become warmer. 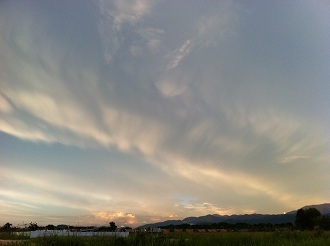 Anyway, the clouds create a colorful & charming skyline during sunset. Pigeons are lining up on a power cable at Menglembu town. It's normally seen when nearby shops are feeding them. 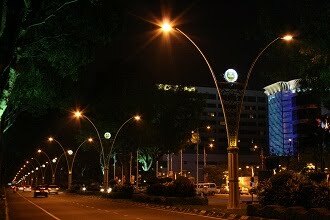 As I just published few days ago, Ipoh at night is quiet. However, the scenario is different in Saturday night. To my surprise, parking lots around Ipoh Padang are full & there are many people having family outing right here. Those who have gathering with friends & buddies also fill the nearby restaurants up & I see an extraordinary lively pulse of the town tonight. Ipoh downtown was designed like a chessboard, where majority of New Town & Old Town is having straight roads interweaving each other. Nonetheless there are some curving streets. If we check the map of downtown, there are obviously two narrower curve streets appear almost in parallel, it's Ali Pitchay Road & Che Tak Road. Along Ali Pitchay Road, there are many travel agencies & budget hotels concentrated here. Although located in the city center, the street is not congested during day and night. This is a common scene in Ipoh downtown; building in use, building abandoned & building gone. There are owners in town having their properties well-maintained although it's over 70 years old. However, there are many more have no interest to keep their properties in proper manner, or even simply tear it down. With lack of economic value, some of these shops are probably a burden for the owners to maintain the structure. Perphaps some of them already migrated to places with better opportunities and too busy to return for taking care of the shop. 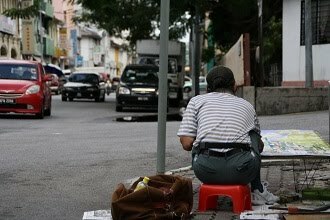 Due to the off-track economic grow in the past 25 years, Ipoh has lost few generations under the empty promises of politician. So many families has their youngster away from hometown. 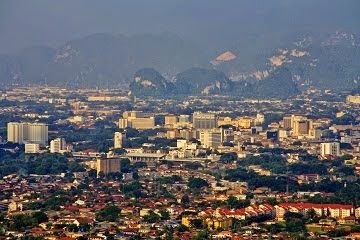 It is not surprise if you find, nationwide or even worldwide, many people are Ipoh originated. I am standing at the border that separates Old Town & New Town. This is the first time I categorize this photo as both Old Town & New Town because I just can't tell on which part I should consider I am. Kinta River was the natural barrier in the past urban development of Ipoh. In the right of this photo is west bank where the settlement initiated. 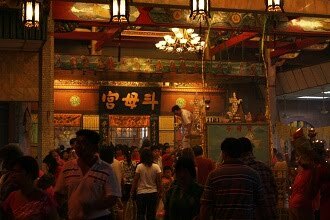 Around 1908~1909, the growth of the town crossed to the east bank and started a better planned township which mainly contributed by Yau Tet Shin. Although the city has only gone through a century, but there are many amazing stories to tell about it from the history of rise & fall. Many of us are busy crossing the river everyday. It will be certainly a different feeling if we take a walk slowly on the bridge and across the shop blocks. Please visit http://www.ipohworld.org/blog/?p=2235 for more detail. 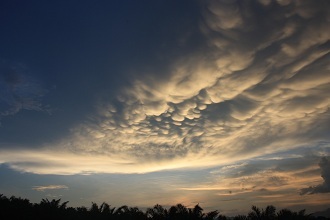 This photo was taken from the field in front of my house at Klebang Ria during sunset. The beautiful color in the sky is a best gift to reward those that have spent their day for hard work. Hope the charming scene will bring them peaceful & refreshing mind. A tree is trimmed to have no more leaves & eventually could be brought down in order to prevent excessive falling dried leaves that clog the drain & dirtying the houses front yard.